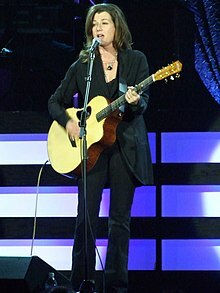 Amy Lee Grant (November 25 1960) is an American singer and songwriter. She is known for her Contemporary Christian music, as well as pop music hits. Grant is the best-selling contemporary Christian music singer ever. She released her first album in 1977 at the age of 16. Grant was born in Augusta, Georgia. ↑ Amy, Grant (2007). Mosaic: Pieces of My Life So Far. Flying Dolphin Press. This page was last changed on 2 March 2019, at 16:13.